Do the heat and humidity have you longing for cooler weather? 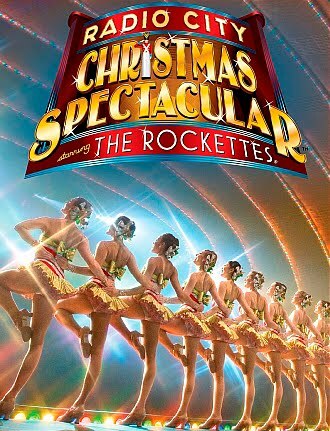 Tomorrow night, September 1 at 7:30PM, WSBE Rhode Island PBS features RADIO CITY CHRISTMAS SPECTACULAR (yes, I said Christmas) starring the Rockettes. The world-famous Rockettes bring their signature eye-high kicks and precision choreography to such show stopping numbers as The Parade of the Wooden Soldiers and New York at Christmas. The show has dramatic theatrical lighting effects, breathtaking imagery, and an array of glamorous costumes. 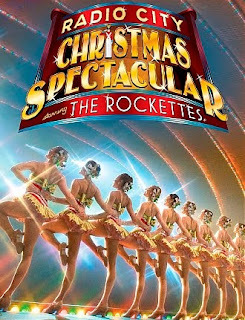 The live show featuring the Rockettes is coming for the first time ever to the Providence Performing Arts Center (PPAC) in November. Through our long-standing promotion agreement with PPAC, WSBE Rhode Island PBS is pleased to announce we have great tickets for you to see the show. PPAC's Marketing Director PJ Prokop will be in our studios tomorrow night with information about how to get the tickets. Here is information about the show from the PPAC site. Then at 9 PM, WSBE Rhode Island PBS presents Great Performances IN THE HEIGHTS: CHASING THE BROADWAY DREAM. This televised version of the 2008 Tony Award-winning Best Musical is a moving, funny, and uplifting new show about a community of hard-working immigrants seeking a better life and trying to find their place – their home – in their new country. With a remarkable young cast, thrilling Tony® Award-winning dancing and a dynamic Tony® Award-winning score, In the Heights is an exhilarating journey into a vibrant Manhattan community – a place where the coffee is light and sweet, the windows are always open, and the breeze carries the rhythm of three generations of music. The Broadway show comes to PPAC in January. Of course we have tickets! Review of RIPEC's most recent studies on tax and spending, and how RI compares with other states. All Rhode Islanders were affected in some way by the floods in March 2010. On Saturday, August 14 at 7 P.M. and Sunday, August 15 at 11 P.M., WSBE Rhode Island PBS airs Hometown Flood, a compelling story that puts local faces on what became national news. When the rains came and the power went out, Chris Walsh’s camera went on - not because the Westerly filmmaker intended to make a documentary, but because Chris had always been interested in weather and… frankly, there was not much else to do at the time. Chris had no way of knowing at the time that events unfolding under the watchful eye of his camera lens would make history. And that he would be one to capture it. As Chris filmed various neighborhood locations – transformed into unfamiliar waterscapes – he talked to people and they opened up to him. One man openly wept as he surveyed his loss. It was at that powerful moment that Chris decided he had to make the documentary, to tell these stories. Walsh talked to people in Westerly, Bradford, and Ashaway, Rhode Island, and people in neighborhoods across the bridge in Stonington, Connecticut. He also spoke with a meteorologist from the National Weather Service and Rhode Island meteorologist and reporter R.J. Heim, to get a comprehensive view of what was happening. Three months later, long after the flood waters receded, Chris revisited the same neighborhoods. Hometown Flood is the video diary of those conversations. A film born of an interest in weather became a lasting, poignant chronicle of a history-making moment in Rhode Island, and a testament to the grit and resilience of Rhode Islanders. Hometown Flood is presented as part of the Rhode Island Stories, an ongoing Rhode Island PBS original series presenting films created by independent producers that tell stories about or by Rhode Island’s people, events, and locations. Rhode Island Stories airs Saturdays at 7 P.M. and Sundays at 11 P.M. on WSBE Rhode Island PBS.